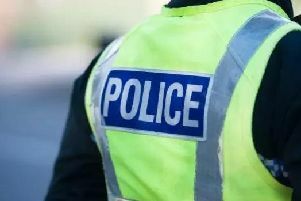 The police are appealing for witnesses after a big rock was thrown at a window of McDonald’s fast food restaurant on Milngavie Road, Bearsden at 9.15pm on Saturday, October 14. The window was cracked but luckily no one was injured. Staff said they had seen a large group of youths standing outside on the same evening. Two male youths, about 14 years old and wearing tracksuits, were also seen in the area around the same time. If you saw anything please phone Kirkintilloch Police Office on 101 or Crimestoppers on 0800 555 111 if you’d like to remain anonymous.